Should we already hand 2020 Ryder Cup trophy to Team Europe? #AskAlan mailbag: Should we already hand Europe the 2020 Ryder Cup trophy? 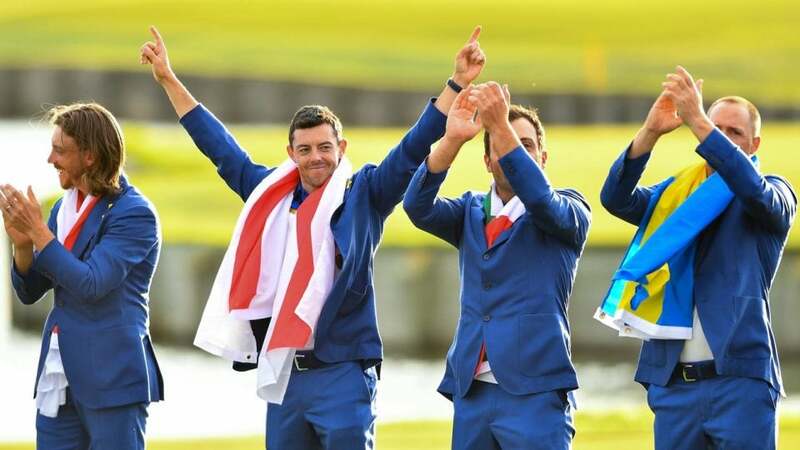 Rory McIlroy and other members of the European team celebrate their victory at the 2018 Ryder Cup in France. What’s better than one #AskAlan per week? According to my editors, two. So starting here we’re going to try a new concept: for the midweek edition I shall answer queries about the recently completed tournaments and related concerns. For a second column every Friday, we can entertain more miscellania, venturing into the dark, shadowy recesses of your collective conscious. It’s worth a try. Let’s give it a couple of weeks and then we can decide if this Alanpalooza is working or not. One thing I know I can count on from all of you: brutal honesty. I think in golf, toughness is often mistaken for confidence. No doubt there are some guys who do have the mythical grittiness, and it’s already baked into them by the time they arrive in the big-time: Tiger, Seve, Azinger, Ray Floyd, Zach Johnson, etc. But they’re rare and justifiably celebrated. More often it’s a matter of belief. Casey’s long winless drought had left his confidence in tatters. Then he broke through at Valspar last year and that confidence has infused his entire game. I don’t think this latest win is because he has suddenly gotten tougher; he just found a way to win, and that made it easier to do again. Yo, Don, this is called Ask Alan, not Tell Alan, but I’ll allow it. Yes, I’ve always enjoyed Casey. He is a good-natured guy and one of the best quotes on Tour. It’s a pity that for years he had to live under the cloud of his off-the-cuff comment about American Ryder Cuppers. The blowback was ridiculous – he merely meant it in the way a UCLA fan hates a USC fan on game day. Thankfully, this late-career renaissance has allowed golf fans to focus on the real Casey. Pretty much the same as always: strong from tee-to-green, streaky on the greens. 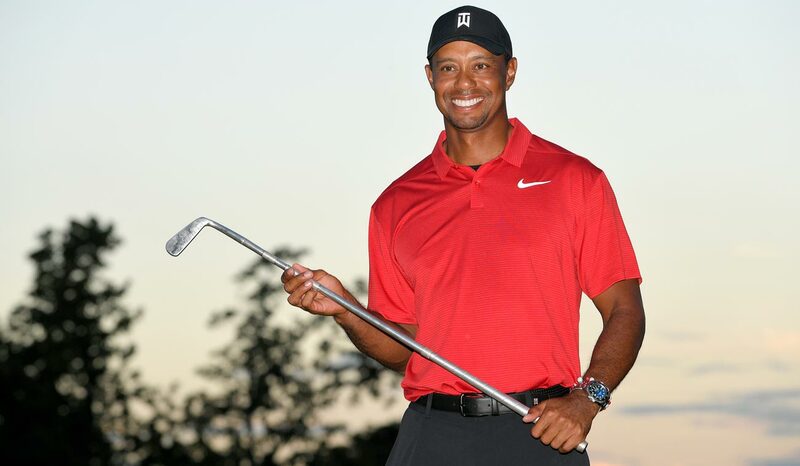 Statheads like to say the winner of any given tournament is usually the best putter among the best ballstrikers. If Dustin doesn’t find more consistent form with the flatstick it’s hard to feel confident about his chances at Augusta National. The other day on Twitter, Graham DeLaet posited that it’s the best course on Tour. Those are big words. Of course, when healthy, DeLaet is one of the game’s most precise ballstrikers, so of course he loves the Copperhead. It’s that kind of course: tight, hard, claustrophobic, relentless. It’s certainly a great test, if not exactly an artistic triumph. Do I enjoy watching one tournament a year on the Copperhead? Absolutely. Would I want to play there regularly? Hell to the no. You and many others. (Eyeroll emoji.) A lot of it has to do with where we are in the schedule: Florida has turned into Murderer’s Row, with Honda, Bay Hill and Valspar offering three of the toughest setups we see all season long. As we witnessed with the oppressive setup in Paris, the Europeans are simply better at navigating the skinny fairways where there is a high penalty for wildness. (The Players was a benign setup which suited Rory just fine.) Conversely, why do Americans dominate the Kapalua-Hope-Phoenix trifecta? Because these courses favor a bombs-away style. Expect the 2020 Ryder Cup setup at Whistling Straits to have wide fairways and minimal rough, helping the Americans to reestablish supremacy. 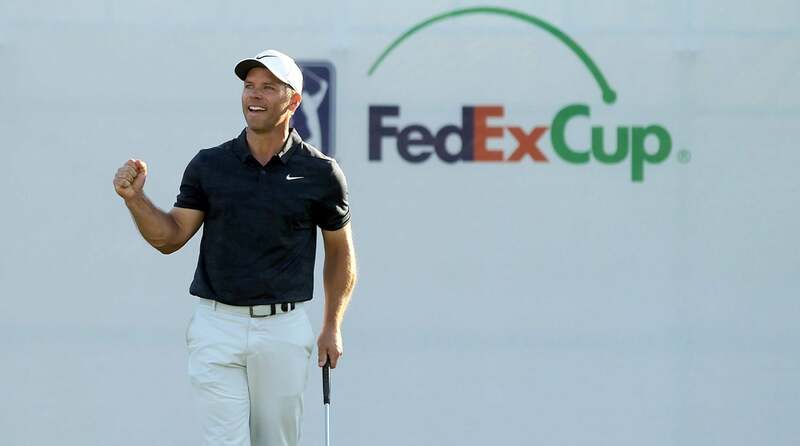 Paul Casey is one of several recent European winners on the PGA Tour. It’s the difference between fire and ice. Rory has always been a passionate, emotive player. He draws us in and lets us experience what he’s feeling. It’s why fans are so elated with his successes and disappointed with his failures. It’s impossible to tell if Dustin himself cares about winning and losing, so why should we fret when he does the latter? It’s also a matter of expectations. By age 25, Rory had already established himself as a player for the ages. We’ve all wanted to see how deep he can take it, so his Sunday struggles have been deeply frustrating. Dustin is an incredible talent but, for all the everyday PGA Tour events he’s won, his career so far has mostly been defined by the big ones that got away. So it’s not that out of character when he boots away a tournament like the Valspar. Why is marijuana banned? Far from performance enhancing. This can be debated about ten different ways, but the Tour’s stance is pretty simple: weed is still illegal in many states, and it is a banned substance under the Olympic drug-testing policy, to which the golf tours must conform. But I think the Tour needs to build into its policy some common-sense discretion. Robert Garrigus is not a threat to qualify for the Olympics. He wasn’t arrested for possession. Is depriving him of his livelihood really the best solution because he ingested a natural substance? Yeah, the shifting legality of marijuana provides an expedient excuse, but the hypocrisy is ridiculous. The Tour loves drinking, gambling and, judging by all the Viagra and Cialas ads… well, you know. Poor Garrigus just picked the wrong vice. The Wanamaker is cartoonishly oversized, but that’s why it’s great. I love Augusta’s clubhouse, Kenya Open rhino, the Torrey pine tree, Quicken Loan Capital Building, Tour Championship’s Calamity Jane, Silverado wine barrel, Sanderson Farms rooster and sundry others. Tiger Woods holds the "Calamity Jane" replica trophy he received for winning the 2018 Tour Championship. Maybe the TV execs are punishing King Louis for being so maddening. It seems impossible that he can produce such jaw-dropping golf but so few victories. He’s such a goofy/likable character and his swing belongs in the Louvre – of course he should get more coverage. But the missing ingredient in Louis’s game has always been passion. I guess the TV coverage reflects that ambivalence. I’ll take the over. It’s been fun to be reminded of how good Donald used to be. He’s not back to that standard, yet, but certainly trending in the right direction. Put him on a firm, fast finesse course and he’s still dangerous. And right now he’s clearly motivated, so another win should be in the offing. Oh, they usually help, because otherwise the ball would wind up much farther from the green, often down a slope or among trees. But you’re right that the Van de Velde ricochet remains one of the worst breaks any golfer has ever suffered. Gawd, I hope so – he’s turned into a content god. Beyond all the jokes, as the golf in the Olympics becomes a bigger and bigger deal, I can imagine more fringe players changing passports so they have an easy route to potential glory. This is the best idea I’ve heard in a long time. You’re really Living Under Par.